From the Gucci, this pendant necklace from the Blind for Love will allow you to flaunt your love for chic fashion. 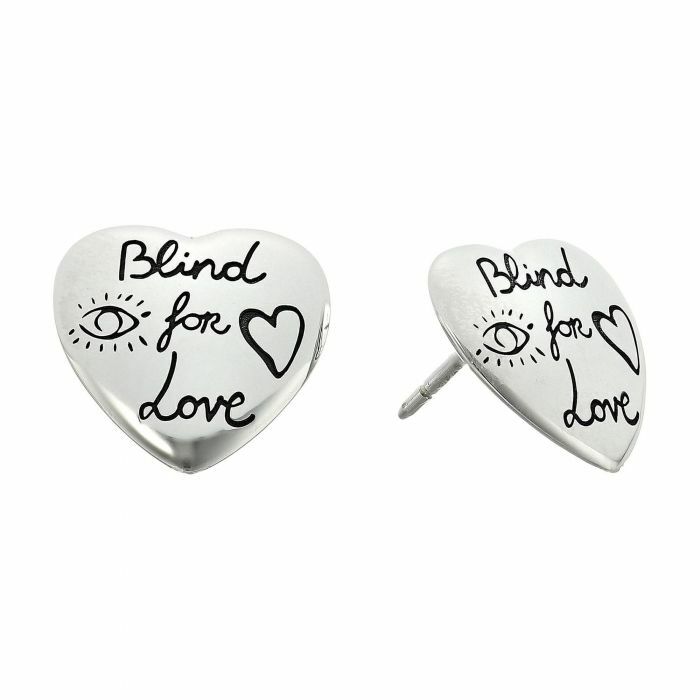 Crafted in sterling silver, these heart shaped earrings are engraved with symbolic Gucci motifs and the phrase “Blind for Love”. Earrings measure 1/2 inches in diameter. Made in Italy.